A coarse or fine white mineral powder that is naturally occuring, chemically inert and stable to very high temperatures. Insoluble in water, dilute acids and hot concentrate sulfuric acid. - Zircon flour produced by milling zircon sand to a closely controlled particle size; 99% passing 325 mesh, this zircon flour is especially suitable for the manufacture of frits, refractories and foundry coatings. 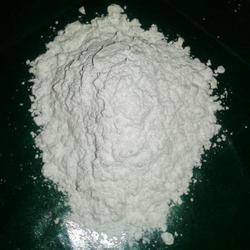 - Zircon Flour is used in the ceramic glaze, glass, refactory and plastic industry. Zircon sand is known with a chemical called zirconium silicate present in different granulations. The zircon sand is widely used for high temperature applications. We supply fine quality zircon sand for industries fabricating bricks, casting molds, ceramics & refractory, chemicals, rod welding and in power plants etc. Zirconium Floor (including hyacinth or yellow zircon) is a mineral belonging to the group of nesosilicates. Its chemical name is zirconium silicate and its corresponding chemical formula is ZRSiO4.